Introducing a brand new collection from Cartoon Folk Artist Miss Mindy. 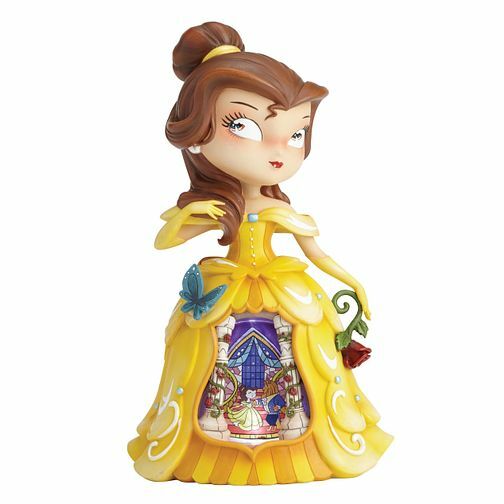 The artist has a very whimsical take on the world and her design aesthetic is shown in these new classic Disney figurines. Belle is shown in her iconic yellow ball gown with the iconic enchanting red rose. This resin figurine has a light up diorama scene and includes 3 x LR41/AG3 batteries. Unique variations should be expected as this product is hand painted. Packed in a branded gift box. Not a toy or children's product. Intended for adults only.